Home Pentland Medical Product Insights Is Malignant Hyperthermia preventable? Click the image to visit the Pentland Medical website (UK distributor). Malignant hyperthermia (MH) can kill. Unfortunately, unless you know that your patient is at risk, MH tends to present as an anaesthetic emergency. MH is an inherited disorder; the ryanodine receptor in skeletal muscle is abnormal and interferes with the regulation of calcium in the muscle. 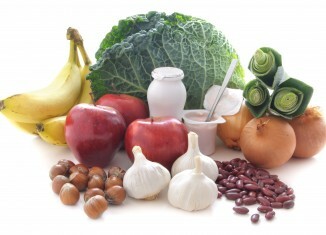 The resulting build-up of calcium is a massive metabolic reaction . It presents as a clinical syndrome of hyper-metabolism involving the skeletal muscle, triggered in susceptible individuals primarily by anaesthetic agents and the muscle relaxant succinylcholine. The signs of MH include muscle rigidity, rapid heart rate, high body temperature, muscle breakdown and increased acid content. Because newer anaesthesia gas machines contain plastic and elastomeric components that both absorb volatile anaesthetics and release residual vapour during subsequent anaesthetic procedures, purging using high flow for a long period is required. Table 1 indicates flushing times. 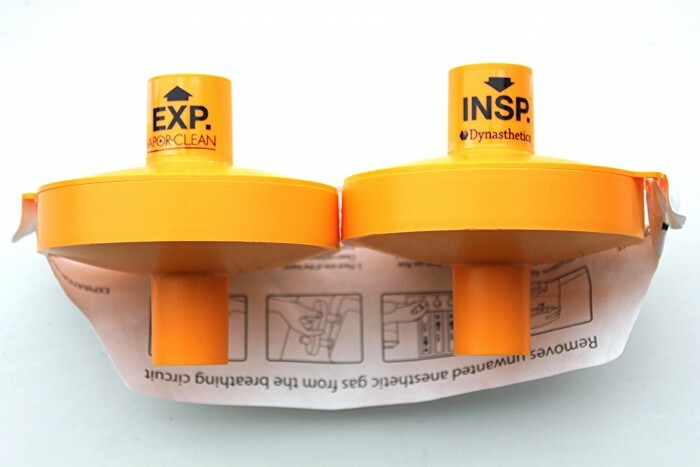 Vapor-Clean activated charcoal filters (Dynasthetics, US, distributed by Pentland Medical UK) negate the need for lengthy flushing; in less than 90 seconds, they absorb any trace amounts of isoflurane, sevoflurane and desflurane so that anaesthetic vapours do not reach the patient. The Vapor-Clean charcoal filters are designed to be placed between the anaesthesia machine and the inspiratory and expiratory limbs of the breathing circuit. The concentration of anaesthetic vapour that protects the susceptible patient from an MH reaction has never been determined with certainty, but concentrations less than 5ppm are generally considered acceptable; Vapor-Clean filters exceed that goal. Birgenheier et al’s study  determined anaesthetic machine preparation time both with and without Vapor-Clean filters. 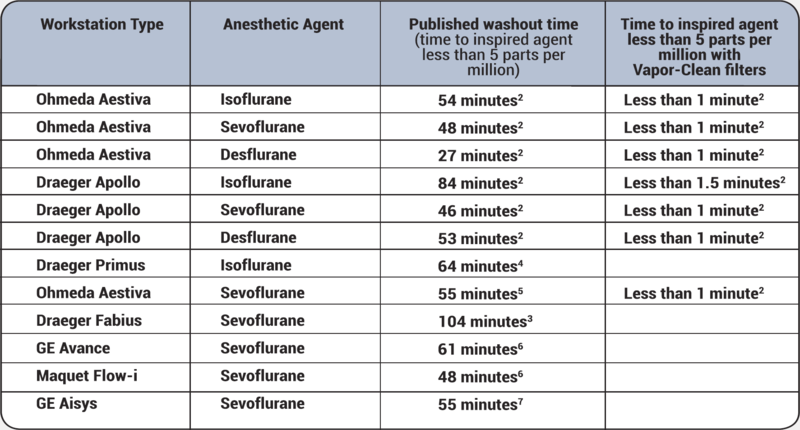 Results showed that without the activated charcoal filters, it took 78 min and 55 minutes for the inspired isoflurane concentrations fall below 5ppm in the Apollo and Aestiva machines respectively. 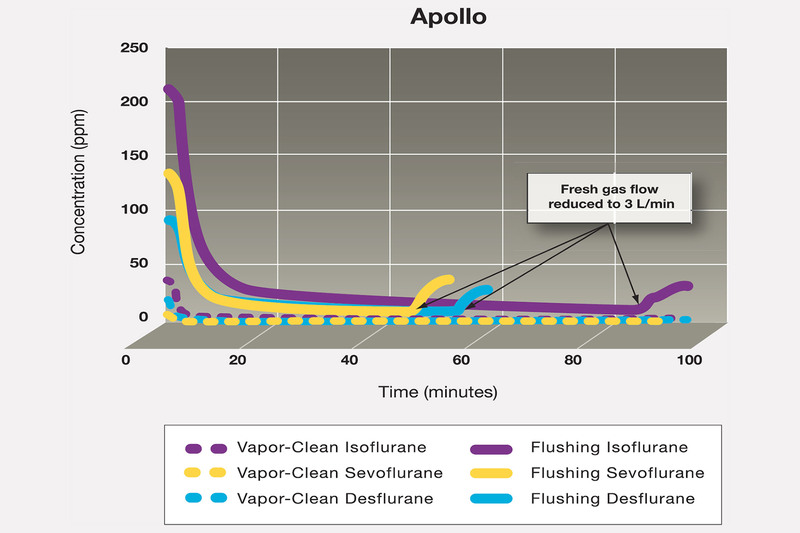 With the activated charcoal filters, the inspired isoflurane concentration was immediately less than 5ppm and remained below 0.63ppm for 45 min in the Apollo machine and below 0.39ppm in the Aestiva. Figure 1 shows the comparison using the Apollo machine. The authors concluded that activated charcoal filters provide an effective way to prepare modern anaesthesia machines for MH-susceptible patients, that no flush was needed for the machines, and inspired agent concentrations were < 5ppm, independent of fresh gas flow. In the event of a MH crisis, the anaesthetic gas can be quickly turned off and Vapor-Clean filters inserted to curtail further exposure without delaying the administration of dantrolene and without the need for manual ventilation. Vapor-Clean filters have been shown to reduce residual anaesthetic gases for up to 12 hours. In addition, they reduce the need for lengthy flushing of anaesthetic machines prior to using on another patient. This represents both a resource saving and a potential life saving measure in both known and unknown MH risk patients.